Still Waiting On Your Cruise Ship Accident Settlement? Over the past three years, some extremely terrifying events have occurred in the cruise ship industry that shows they may not be guarding their passengers’ welfare as well as they should. There was the Costa Concordia disaster in 2012. This ship ran aground off the Italian island Giglio, killing dozens of people. You may also remember the Carnival Triumph cruise that had no running water, toilets or electricity for almost a week after a fire. This disaster left passengers stranded in the ocean for 5 days, many of which became extremely ill due to the unsanitary conditions. When you get ready to take your cruise, you probably aren’t thinking about all the things that can go wrong. Instead, you’re focused on the rest, relaxation and entertainment you’ve been promised. But it’s worthwhile to spend some of that pre-cruise time reading the details set out in the fine print including. Pravati Capital invests in the success of both law firms and plaintiffs. To this end, we’ve developed a network of qualified, experienced attorneys who can help you with your cruise ship accident case. 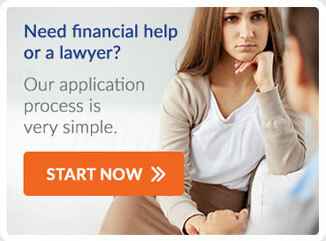 But we understand that finding the right attorney is just part of the uphill battle facing plaintiffs. Many also need financial assistance through the term of the case in order to pay medical expenses, make up for lost wages and start making their family whole again. Pravati Capital assists you with this by providing legal financing that takes away much of the financial pressure facing you as you fight for justice and recovery of damages. If you experienced a Cruise Ship Accident, contact Pravati Legal Funding today.